I flew with Thomson Airways on my recent trip to Egypt and whilst the service and friendliness of the cabin crew could not be faulted, I was surprised how badly informed the cabin staff were about the country to which we were flying. On arrival at Hurghada airport on the Red Sea, the stewardess informed all passengers over the plane’s tannoy system that Hurgharda was two hours ahead of UK time. Wrong – at this time of year it is one hour ahead! Then she went on to say that visas were not required for anyone landing in Egypt. Wrong again – travelers arriving in this resort require an Egyptian visa, purchased as you enter the country and before passing through passport control. I suppose that these are only minor irritations compared with the way some cabin crew members on other ‘low cost’ airlines treat passengers. A Ryanair pilot announced to passengers on a flight of mine to Italy, that they should refrain from complaining about any aspect of their flight, as for the price they had paid, they should be grateful to have a seat! If you have ever had a disagreement with a stoney-faced airline cabin crew member over a lack of chicken curry meals or the best way to stow your luggage before take-off, it may interest you to know that American passengers have named and shamed who they think are the rudest airline staff. 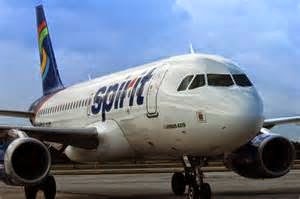 According to the Daily Telegraph, Spirit Airline’s staff were voted the rudest in the air in a recent survey, with more than a quarter of respondents saying they found them the most impolite of the 14 companies rated. Spirit is an ultra-low cost airline, which says it offers customers “friendly staff” and “clean, fuel-efficient airplanes”. Fourteen per cent of voters in the survey, carried out by the website Airfarewatchdog.com, found Air Canada the second worst performer for customer service, followed in third place by Frontier, a low-cost operator based in Denver, which garnered 11 per cent of the vote. Air Canada posted a response to the poll on its Facebook page, saying that it has “received multiple awards for Best Flight Attendants in North America and Best North American Airline Inflight Experience from official benchmarking organizations in customer satisfaction across the global airline industry”. 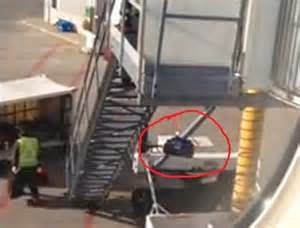 The poll follows reports last week of baggage handlers being filmed from the window of an Air Canada flight dropping bags from the boarding platform onto a pile below, seemingly to save carrying them down the stairs (below). An Air Canada spokeswoman told the Toronto Star newspaper at the time that the staff involved had been advised that their employment would be terminated pending the outcome of an investigation. 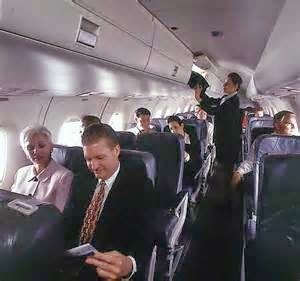 The Airfarewatchdog.com survey results were weighted by the number of passengers who flew on each airline between January and October last year, to account for passengers encountering more staff on larger airlines. Users were asked via a multiple-choice poll and could only select one answer. They were not asked to supply anecdotes of past experiences involving staff, and the site did not give any definition of "rude" staff. Airlines that fared best in the survey, which was answered by 3,400 American flyers, included Alaska and Southwest: only one per cent of respondents voted them worst in the rudeness stakes. Last year, Ryanair as voted worst for customer service in a Which? survey of Britain’s 100 biggest brands. 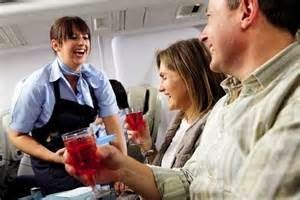 Respondents said that they had encountered “rude air stewards who make you feel like a nuisance rather than a customer”. Since then, the Irish low-cost operator has declared it is making customer service a priority: earlier this month, Michael O’Leary, the CEO, said that improved passenger service and less harsh policies would be the sources of company growth in the next year. It’s great to hear that Michael. I might think about using Ryanair again, after almost five years boycotting the airline, due to its staff treating passengers like cattle to be loaded and unloaded in the quickest possible time.